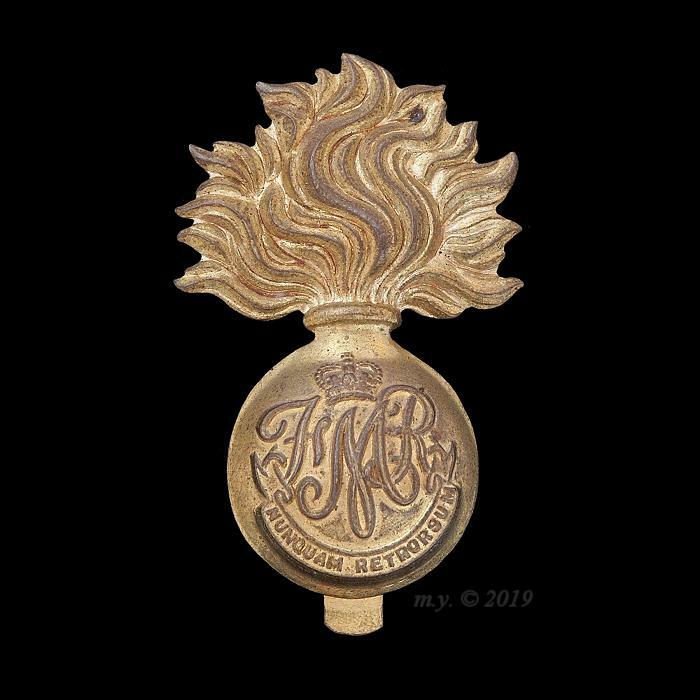 Les Fusiliers Mont-Royal Cap Badge 1953- Queen’s Crown Version. A fused grenade inscribed with initials of the regiment ‘FMR’ with a Queen’s crown above. Beneath a scroll inscribed ‘Nunquam Retrorsum’ (never retreat). 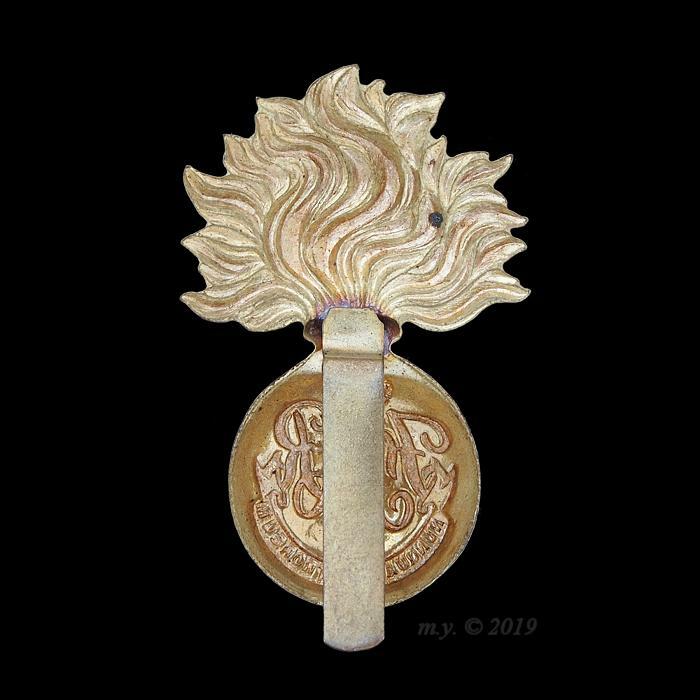 Brass with a slider type fixing, 57mm tall, 37mm wide.